Will You Be Attending The Women's March On Washington This Year? Share Your Story Two years in, the movement has fractured under accusations of anti-Semitism, lack of financial transparency and infighting. Has this affected your decision to attend? The Women's March On Washington is this Saturday Jan. 19, 2019. 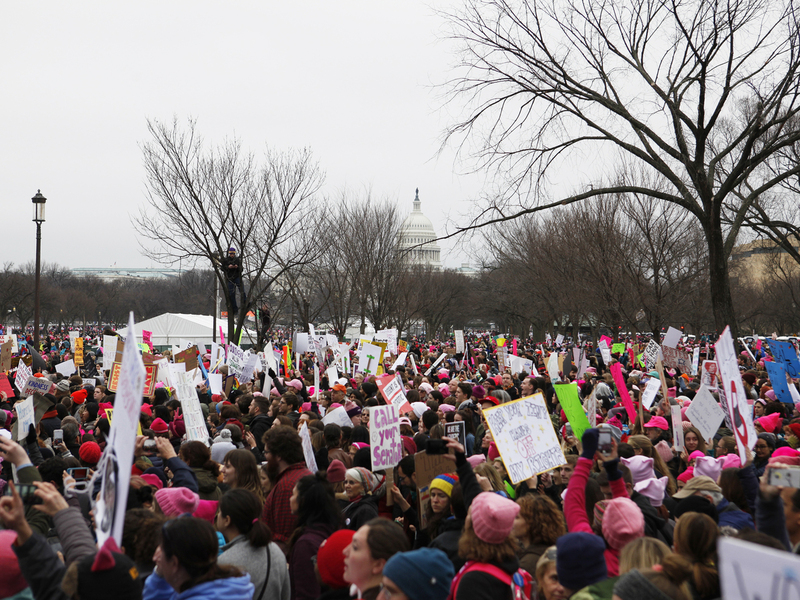 Since its founding two-years ago, hundreds of thousands of people have come to the nation's Capital to demand social change on behalf of diverse women and their communities. This year, the movement has fractured under accusations of anti-Semitism, lack of financial transparency and infighting. Are you planning to come to Washington, D.C., for the march this year? Have you attended in the past? Are you marching with a different group this year? What motivated your decision? Fill out the form below, or send us a voicemail with your name, number and location at 202-216-9217. You can also fill out the form here. A producer may reach out to get your story on air.